A couple of weeks ago, there was a street scene here in Boston that was wilder than anything since the Red Sox won the World Series. U2 was in the town. That's not so unusual in itself--the band might play Fenway Park or some other huge venue and sell it out for three or four nights of legendary concerts. But this was different. They secretly booked a tiny concert hall in the suburb of Somerville. I can remember, vaguely, that the Rolling Stones did something similar years ago. They wanted to play a small, intimate little theater where they could see the audience and judge how the music was received. 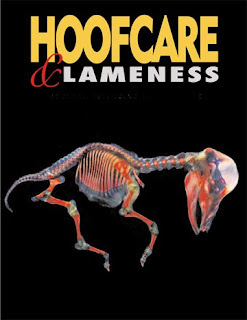 The same thing is going on this weekend in the southern end of Australia, where Dr. Chris Pollitt and his PhD candidate assistant Brian Hampson are quietly opening a new series of lectures on laminitis and hoof research. They'll be at the University of Melbourne Friday, and in Tasmania Sunday. Dr. Pollitt's been lecturing about laminitis for years, but his work now has the added synergy of the brumby (wild horse) research component, which in turn has been energized by some out-of-the-box thinking about domestic vs wild horses that will have all of us scratching our heads when we finally hear these lectures. There were gasps of apprehension when Dr. Pollitt stepped down as professor at the University of Queensland vet school, but the research world was pleased. Freedom from teaching would surely allow him to dedicate full time to his directorship of the Australian Equine Laminitis Research Unit, the world's leading center for laminitis research at the University of Queensland. To everyone's surprise, something else happened. In addition to charging forward on the laminitis front with a collaboration with the Laminitis Institute at the University of Pennsylvania, he started a second research center, the brumby unit, designed to study the hooves of Australian wild horses so that he could finally come to understand how a normal foot is supposed to function. For years, Dr Pollitt has said that his hands have been tied in laminitis research because he is trying to understand a disease mechanism in the foot without being able to compare it to the normal functioning foot because we simply don't have a good model of the normal foot. So Pollitt and his research associate, Brian Hampson, and most recently with sidekick American veterinarian Dr. Donald Walsh of Missouri, have been trekking through the outback of Australia studying wild horses in wet, dry, rocky, sandy and even flooded terrain. They watch, they film, they tag, they camp, they bring volunteer research assistants, and they've collect data--volumes of it, none of which has been shared except in tantalizing tidbits until now. Marg Richardson, a research team member of the Australian Brumby Research Unit, is one of the hosts for the lecturers this weekend and has organized the warmup tour. She is particularly excited to be introducing Brian Hampson in his first official speaking tour. At the Australian Brumby Research Unit, Hampson is undertaking world-leading research by capturing and sedating brumbies, attaching GPS collars, tracking their movement and then recording the relevant data for herd groups. This includes what they are eating, the condition of their hooves and how much they are moving. One of the marketing projects launched by the Australian Brumby Research Unit is making freeze-dried brumby feet available to other researchers. Maybe, it turns out, to understand a lot about hooves we need to learn to a little bit about behavior. “Never has the saying of ‘No Foot No Horse’ been more obvious, when you see how much these horses move,” Hampson says. “We have tracked the movement of domestic horses in a variety of settings from the racing environment (to) five-acre paddocks (and) up to 10,000 acre paddocks to see the variation of movement and it has been quite staggering. Old brood mares turned out in paddocks are moving more over a 24-hour period than our elite race horses." 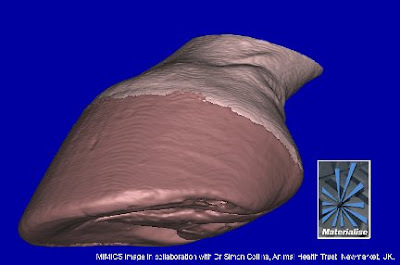 Dr. Pollitt's presentations will center on using computed tomography imagery to share the inside view of what happens to the hoof in laminitis and other hoof diseases, compared to normal hooves. 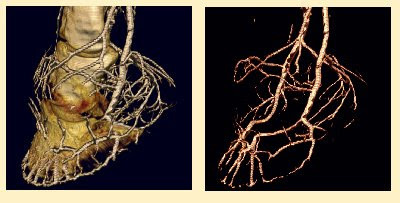 Digital images from the CT scans, arranged in 3-D will also allow manipulation of the model to observe whatever tissue is of interest. Models will be shown for laminitis, side bone and normal feet. A world tour is planned, of course; Dr Pollitt plans to speak at the 5th International Equine Conference on Laminitis and Diseases of the Foot in West Palm Beach, Florida, to be held November 6-8. See you there. It sounds like Brian Hampson is ready for a world tour of his own. I am not positive that places are still open in the lectures, but you can inquire. Please email Marg Richardson or phone (in Australia) 64 272255 or 0419 572255. Click here for a press release and links to flyers from the Equine Veterinarians Australia web site. To learn more, visit both The Australian Equine Laminitis Research Unit and the Australian Brumby Research Unit. So much is assumed and so little realized as to the natural state of a horse......they truly are more like sharks, needing to move to keep their circulation and digestive systems healthy, not to mention the constant well oxygenated blood supply to the feet. This is excellent research and will hopefully help people, vets, farriers understand why environment and management has so much to do with the success of the horse and it's health.